If you’re planning on visiting North Wales this year to explore some of the amazing roads there but don’t know where to start well this is for you! We’ve put together a one-day road trip map just for you, featuring some of our favourite roads. You can download the map for free, yes we did say FREE, and drive the route at your leisure. We’ve included the Horseshoe Pass, Evo Triangle, Llanberis Pass and more. There’s a bit of something for everyone in there, with numerous points to stop at your leisure for photos and refreshments. An early start (8am or earlier) would see the roads with less traffic on them for better driving pleasure but if you were to be later in the day you’ll still enjoy the roads and scenery. Be especially careful on the Evo Triangle (made famous by Evo Magazine) as the police are very vigilant with regards to speed given the popularity of this section of driving road in North Wales. So drive with care and attention throughout. Bets-y-Coed is a great place to stop for refreshments with a selection of cafes and ice-cream huts. Bring change for parking and approach the speed bumps with caution. The route can also be driven in the opposite direction, making the Ponderosa Cafe on the Horseshoe Pass your finishing point. So download, print, get a tank of v-power and get yourself out there. 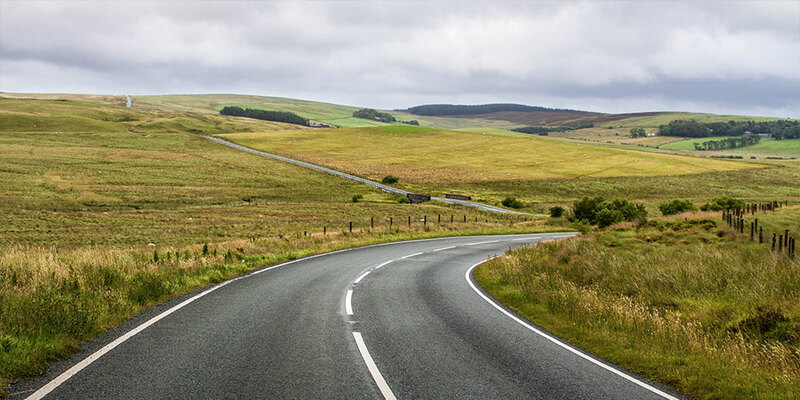 We hope our favourite roads in North Wales also become your best driving roads in North Wales. Enjoy.